We are proud to announce that David Edelson, Senior Vice President and Chief Financial Officer of Loews Corporation, has been appointed the new President of the Board of Trustees. David has served as a Jewish Board Trustee since 2001. David has a corporate background in risk management and compliance, and will strive to encourage The Jewish Board to adopt best practices in this area, becoming a model for other non-profit organizations. David joined Loews Corporation in May 2005 and has been its Chief Financial Officer since May 2014. David is also a director of AutoNation, Inc. He served as a President of the Board of Trustees of Central Synagogue from 2012-2015, and currently serves as a governor of the Hebrew Union College-Jewish Institute of Religion. David earned an M.B.A. from the Stanford University Graduate School of Business in 1985 and graduated from Dartmouth College in 1981 with an A.B. in English. He succeeds Alice Tisch, who served as Board President for nearly four years, and remains on the Board as a co-chair. 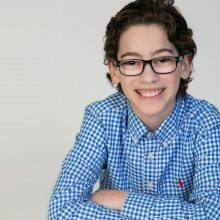 The Jewish Board has been expanding services for youth grappling with the move from childhood to adulthood, also known as transition-age youth. This time is challenging for many young people, and even more so for those who have mental health struggles and other challenges. A critical component of our new approach is a Manhattan-based clinic specifically designed to serve youth ages 14-26. Crossroads opened in September 2017 to serve transition-age youth, one of the few such facilities in New York City. It now serves more than 400 youth, a number that is expected to grow to 600. In addition to offering counseling and psychiatric care, Crossroads will eventually provide a full continuum of services including vocational training and support, financial literacy, and substance abuse services, becoming a vibrant hub where youth can access the tools they need to successfully enter the next phase of their lives. Crossroads celebrated its one-year anniversary with a reception on October 10, attended by partners, clients, Trustees, and staff. Em, one of the two clients who shared their stories at the opening, spoke of how the program helped him learn to identify his emotions, and of the value in having someone you can speak to. The Jewish Board is excited to be implementing Wendy’s Wonderful Kids, a signature program of the Dave Thomas Foundation for Adoption that will bring children waiting to be adopted from foster care one step closer to safe, loving and permanent homes. Each year, many children in foster care turn 21 and leave the child welfare system without permanent families. Through the Wendy’s Wonderful Kids program, The Jewish Board can focus dedicated time to matching children waiting in foster care the longest with families planning to adopt. The Jewish Board will implement this program at two of its residential programs for foster youth, one in Manhattan and one in the Bronx. In New York, Wendy’s Wonderful Kids is expanding statewide through the Foundation’s collaboration with the New York Office of Children and Family Services and the support of state leaders, including Governor Andrew Cuomo. “Every child deserves a family who cares for them in a safe and nurturing place to call home,” he said. “Through this partnership, New York will focus on finding permanent homes and devoted families for our children in need” (“Governor Cuomo announces $9.1 million partnership to find permanent homes and families for older foster children”, press release, January 30, 2018). Once fully scaled, New York will have 63 Wendy’s Wonderful Kids recruiters to serve the needs of the longest-waiting children in the state’s foster care system. In 2011, a rigorous five-year national evaluation by Washington, D.C.-based Child Trends revealed that a child referred to the Wendy’s Wonderful Kids program is up to three times more likely to be adopted, especially older youth groups and children with special needs. There are more than 150,000 children in North America’s foster care systems waiting to be adopted, including more than 117,000 children in the United States (U.S. Department of Health and Human Services, Administration on Children, Youth and Families, Children’s Bureau; July 2016). There’s no doubt that being a teenager today is challenging. One source of support is Here.Now., a teen-driven mental health initiative that promotes mental health, wellbeing, and resilience through creativity. The program was inspired and is supported by UJA-Federation of New York and run through The Jewish Board. Here.Now. features a mix of teen-created content and reference materials created to support teens dealing with issues like helping a friend struggling with mental health, or facing social anxiety. The program also hosts events including comedy nights, poetry slams, community art projects, and special events for summer camps and youth groups. Here.Now. has reached more than 10,000 teens in-person and provided trainings for more than 400 youth professionals, clergy, and camp counselors. 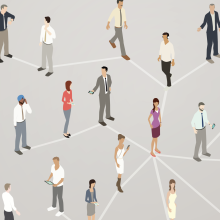 Its online content has reached almost a half a million people. Programming at summer camps and schools on failure and resilience, complete with a Here.Now. failure graduation ceremony. An animated film created by teens from Here.Now. that can help elementary schoolers understand how to have a healthy relationship with social media, and with themselves. The creation of two teen leadership boards who both help guide and lead Here.Now. and who are taking Here.Now resources back to their communities. Full training resources created for summer camp leadership on how to train their staff in mental health to best support their campers. The Jewish Board is proud to be expanding its Preventive Services, which help keep families together and allow children to stay out of the foster care system. Many families face challenges that impede the ability of parents to provide adequate care for their children—but with the right supports and services, these families can weather life’s storms, stronger and more capable than before. New contracts awarded by the city’s Administration for Children’s Services will increase the families we serve by more than 20%. The Jewish Board will serve nearly 900 families in Staten Island, Brooklyn and the Bronx with Preventive Services, using a variety of specialized therapeutic models. Preventive services help families learn skills that support healthy relationships. Parents learn to better understand their child’s needs, and learn how their own experiences may affect their parenting. The ultimate goal is to encourage a loving, nurturing and safe home. We are excited to continue building this valuable program. 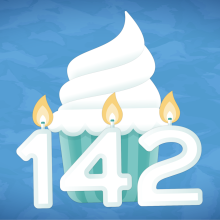 We’re Celebrating Our 142nd Birthday!